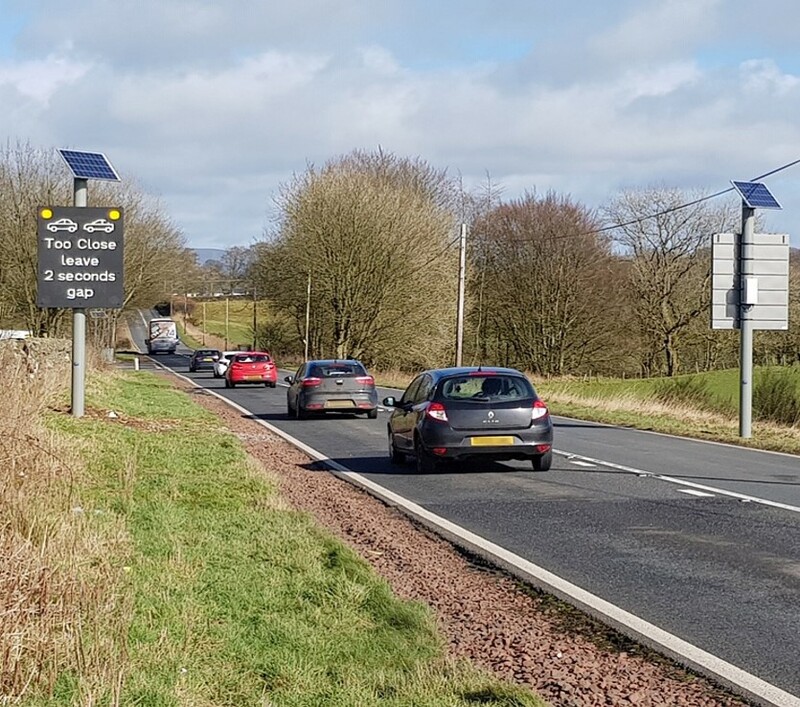 The safety initiative which incorporates both tailgating and speed reduction warnings and has been installed along Scotland’s A701 on behalf of Transport Scotland. A detection system will be used to manage VAS (Vehicle Activated Signs), motorists travelling between Amisfield and the M74 will receive warning alerts via the illuminated signs when tailgating or driving above the appropriate speed threshold. ‘Through a single road safety initiative, we aim to tackle both of those problems and issue warnings relevant to the behaviour of the driver and their vehicle classification,’ added Keenan. Clearview Intelligence says that the The review discovered that vehicles travelling above the appropriate speed threshold was a factor in 73 percent of accidents – well in excess of the 50 percent average from the 2016 Reported Road Casualties Scotland report. Using detection technology to assess the gap, speed and classification of the passing vehicles, the system then prioritises the messages to be shown to the driver on the VAS. Clearview Intelligence says that key benefits of the system are the ‘ease’ of the implementation by utilising solar power, wireless communication and passive safe infrastructure.